SLI handles all transactions when students enroll in an SLI workshop or coaching program. Then we will donate 20% of all sales to your students whenever they purchase an SLI service. Payouts to the schools/PTAs are done automatically via Infusionsoft affiliate payouts. Schools can book us to do live or online workshops or seminars. Purchases by students can cover the entire cost of a live or online event by Major Betz! 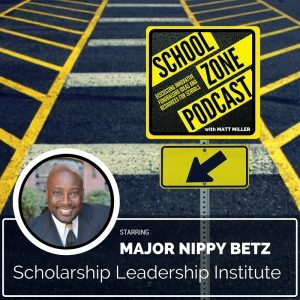 Click Image Below to Listen to the First Interview between Matt and Major Betz!